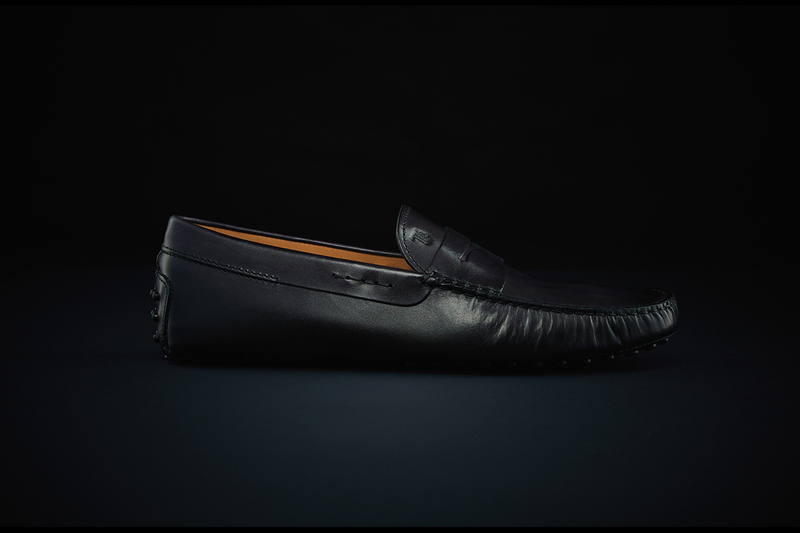 J.P. Tod’s most luxurious and iconic Gommino driving shoe ever made is now available exclusively at The Rake. Say the name "Tod's" to anyone with even so much as a passing interest in fashion or style and you'll be able to read their mind. That's because you know, without a shadow of a doubt, that the image instantly conjured in their imagination is that of the Gommino driving shoe. One doesn't need to squint to be able to recognise that inimitable shape and design of probably the world's most popular smart casual loafer. The Rake was recently invited to Tod's flagship store on Via Della Spiga in Milan to view said Gommino, only this was no ordinary iteration. 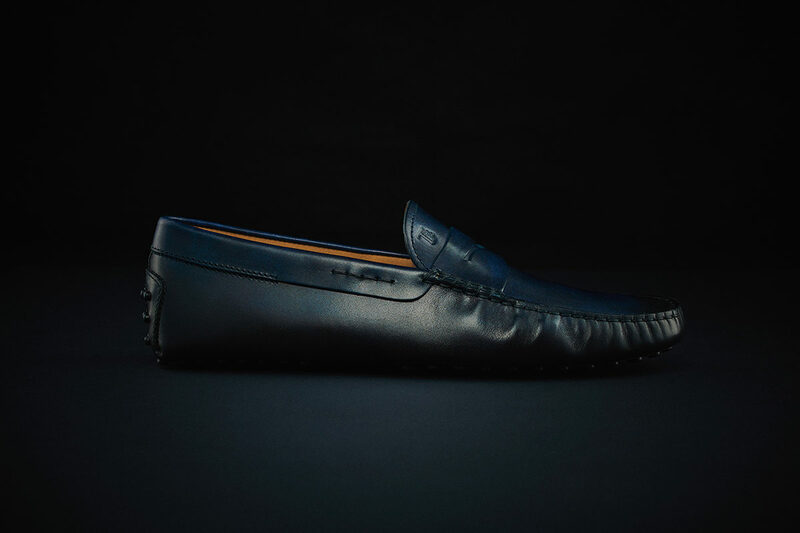 This version of the brand's iconic driving shoe, garlanded with its 133 rubber pebbles, had, for want of a better phrase, been pimped out with remarkably soft and indulgent leather, handpainted to create a richly nuanced patina that came alive in the light. These rare breed J.P. Tod's Gomminos have only ever been available in the flagship store to those only in the know. That is until now. The Rake, aligned with J.P. Tod's appreciation for the finest materials and design, has been granted access to a limited number in three colourways: inky black, navy and ochre brown, all of which you see here. In many ways, the J.P. Tod's collection is a tribute to the brand's history and, at the same time, it reworks traditional aesthetics with present-day criteria. 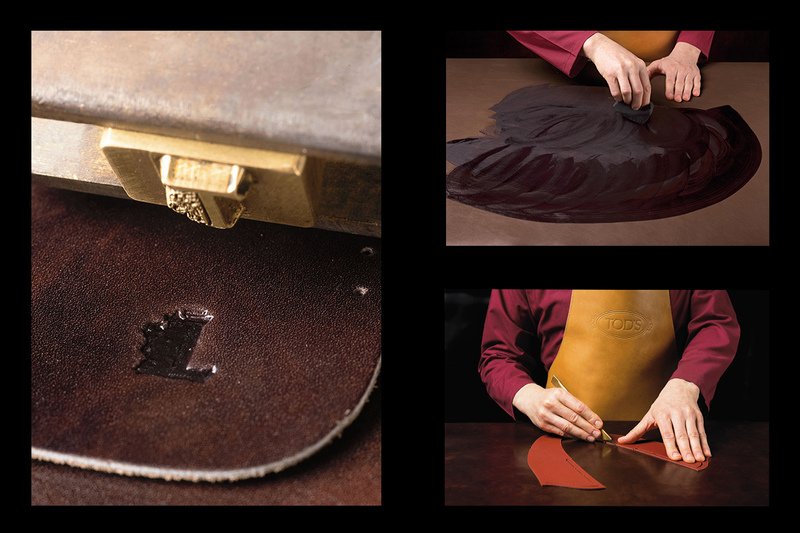 The J.P. monogram, part of the original brand name, has now become the emblem of Tod's excellence and craftsmanship. Stamped discreetly on the upper, it quietly signifies the wearer's appreciation of the finest things in life and marks him out as someone "who knows." 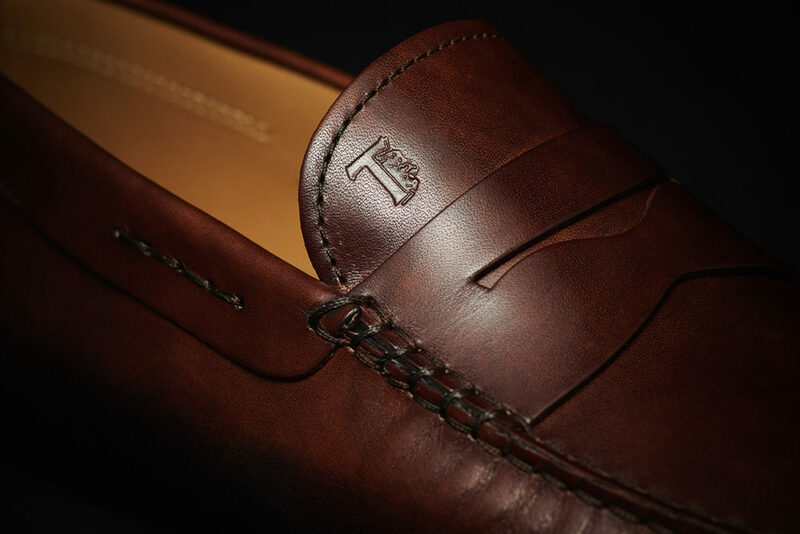 The leather, which is treated by Tod’s today in the exact same way the company worked more than seven decades ago, is completely hand-cut, with every single stitch the work of just a few specialised craftsmen in the brand's Brancadoro factory. The skins go through a meticulous selection process to ensure they are the very best available from the very best tanneries. They must be completely devoid of even the slightest imperfection. A special cream is used that is buffed on and allowed to stand for 24 hours on the skin. The craftsmen then enhance the skin by returning it to its primary state by buffing it for a second time, which gives the leather its unique properties. A brushing treatment then defines the skin colour. Finally, it is treated with several layers of cream over several days before the skin goes to the cutting table. Here, highly skilled and specially selected cutters with decades of experience work with the skin upon a wooden last, hand-stitching the various panels together to produce what you see here - the culmination of generational knowledge. Once the full construction is complete, the shoe is hand-brushed so that the special colour of the leather is brought out and achieves prominence. This is the patinated effect that makes every single J.P. Tod's Gommino absolutely unique. 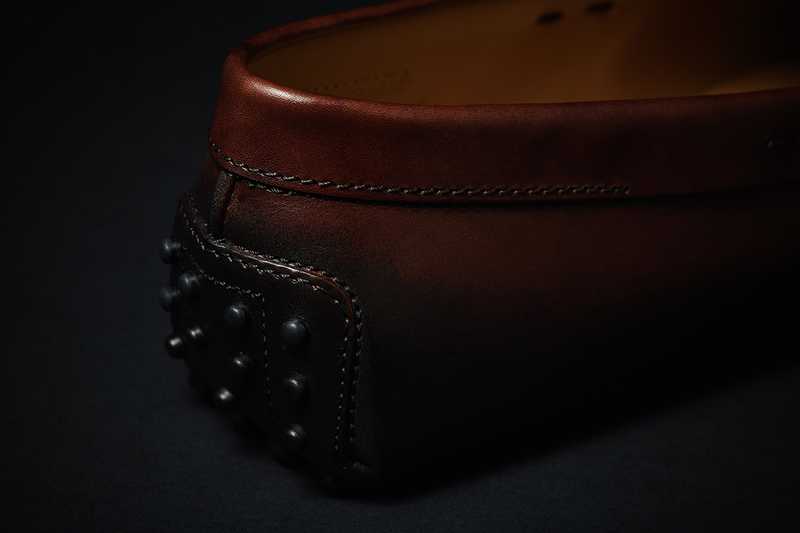 There are over 100 individual steps involved in the construction of the Gommino, from the punching of the holes to accommodate the 133 pebbles, to the intricate hand-stitching providing the finest iteration of contemporary luxury craftsmanship. While it was Tod's who actually popularised the driving shoe in the 1980s, the style dates back to the 60s. Back then, it was the sole preserve of the very wealthy, but Diego Della Valle had the foresight to see that this style of footwear could play a key role in the daily wardrobe of the well-dressed gent, and was able to manufacture a more affordable but equally as elevated product. It quickly became Tod's 'hero' shoe and is synonymous with the brand today. 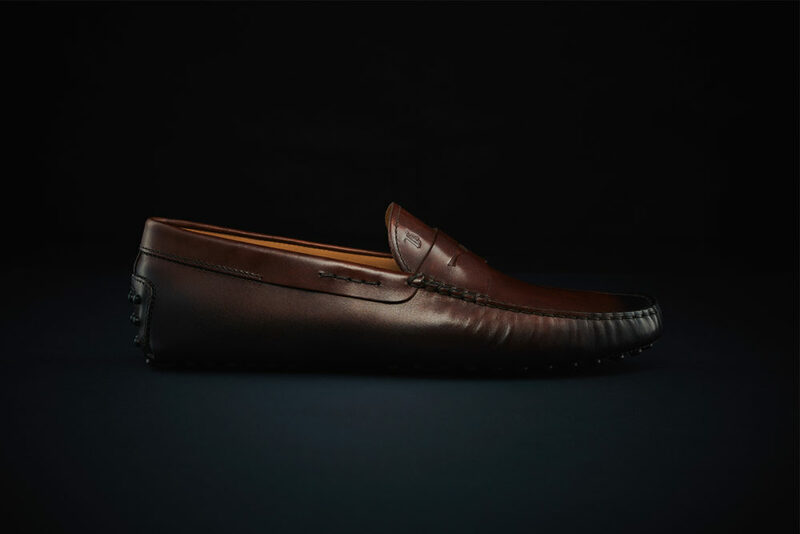 The Gommino's popularity is not hard to understand: it shares the classic shape of the smart loafer, but with the attitude and wearability of something akin to a moccasin, making it the perfect shoe for smart casual attire. These J.P. Tod's variants are an entirely different proposition to the mainline, however. Every inch of them is as premium as premium gets and due to the hand-painted nature of the leather, no patina will ever be same. The three colourways on offer reflect the sophisticated nature of the build. Whereas the standard Gomminos come in every hue of the rainbow, the restricted palette of the J.P. Tod's versions hint at a more refined style of wearing. Thus, either one of the colours would provide a very chic way to dress down a classic navy, charcoal or even neutral coloured suit. They particularly come into their own in the summer months when traditional shoes become an unnecessary formality. Elegant, comfortable and made with the utmost precision and excellence, there isn't a finer smart casual loafer on the planet, and now you needn't fly to Milan to find them.